Halloween in Salem, Ma starts at The Haunted Neighborhood! 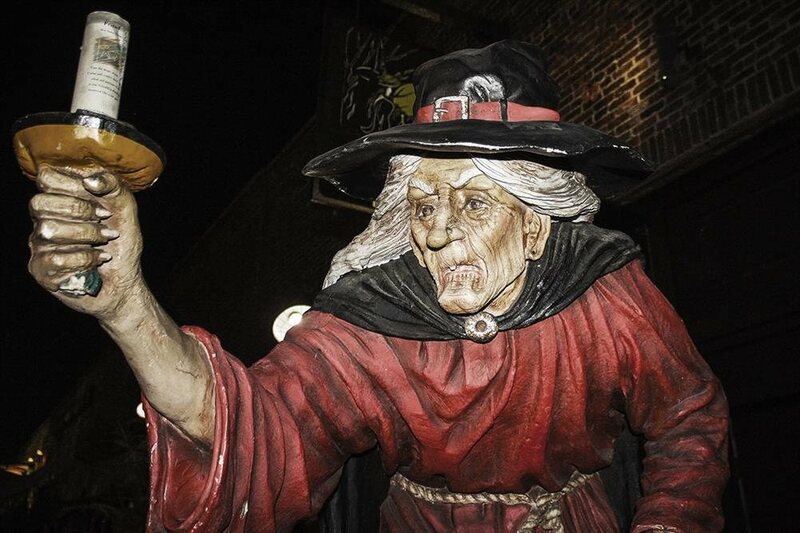 Seven attractions are open in October at the Salem Wax Museum's Haunted Neighborhood. An open gallery style wax museum, which features 50 London made wax figures. The scenes in our galleries depict pinnacle figures and situations in Salem's history from its founding in 1626 through to Hysteria of 1692 and into the Mercantile trade of the 18th century. 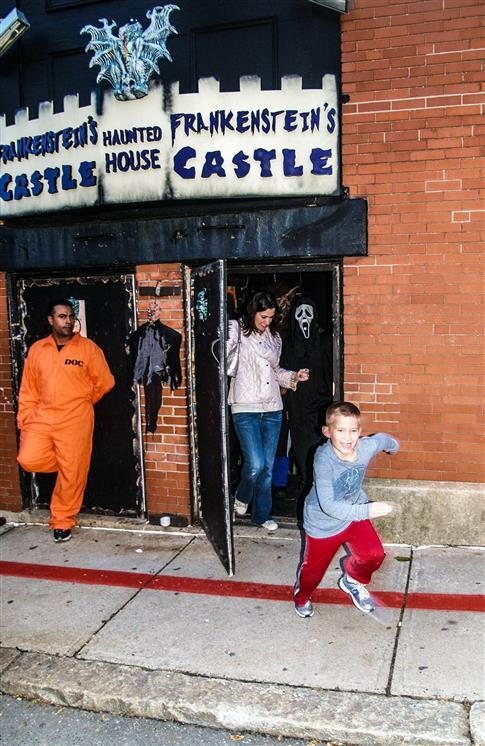 The galleries lead down into the interactive area which gives you the opportunity to learn nautical knot tying, do grave stone rubbing on recreated headstone from our landmark Charter Street Burying Point or you can get a first hand experience of detention during the Witch Hysteria by being locked in our life-size recreated jail cell. Salem's newest haunted attraction is inspired by the classic period of literary horror. 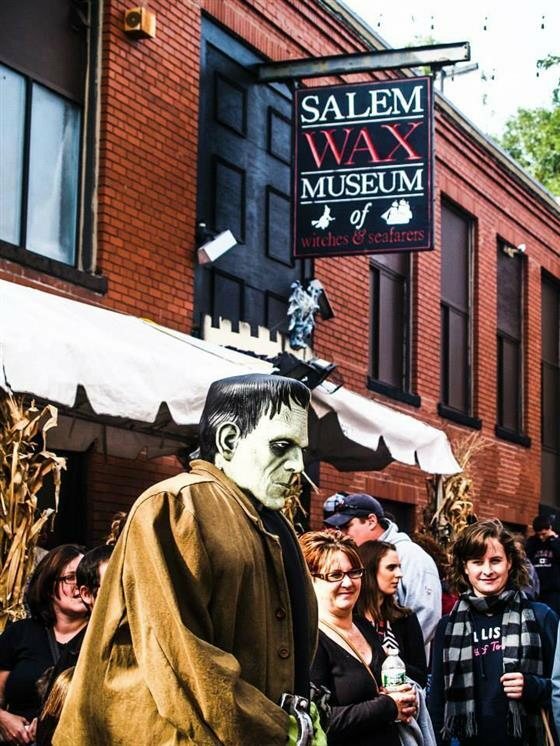 Step into the lower dungeon of the Salem Wax Museum and enter the notorious dungeon of Dr. Frankenstein. Wind your way through the dark, curving hallways and see the darkest side of a madman's quest to create a most horrid monster. Please use discretion when purchasing tickets for children. At night in October the Witches and Guardians leave the Village and the darker side of our maze comes alive. Our museum goes haunted with ghouls, goblins and all matters of things that go bump in the night. Salem's longest running and largest haunted attraction. 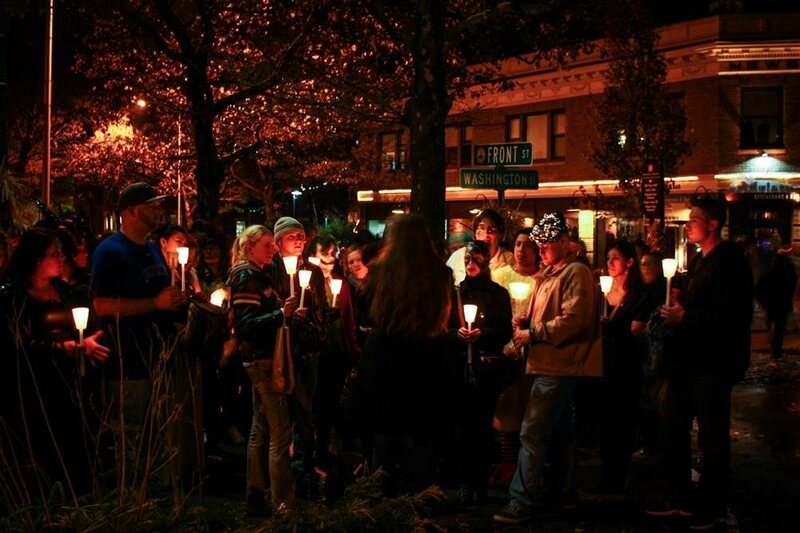 This half-hour walk through the streets of Historic Salem takes you to many of our most haunted houses and locations. This tour discusses the history of the building as well as the different accounts of spirit activity. The tour guide will advise you on the best methods of ghost photography as well as the different types of spectral evidence that appears on people's home photography. Some highlights of our tour are the Joshua Ward House, the Howard St. Cemetery and Old Salem Prison and the Lyceum. This attraction must be booked prior to date of tour. We are fortunate to have on our premises the Charter Street Burying Point or Old Salem Burying Point, America's second oldest cemetery. The tour of this cemetery runs 30mins in length and discusses some of the cemeteries more colorful inhabitants like Colonel John Hawthorne, the notorious Hanging Judge of the Witch Trials, and Captain Richard More whose grave is the only known resting place of a Mayflower passenger. The tour will also discuss the Puritan funerary art unique to our cemetery as well as the Tercentennial Memorial to the Witch Trials victims located adjacent to the cemetery. It is strongly advised to book this tour prior to your arrival or you may be subject to tour guide availability. This tour is available as a compliment to our standard tours. A live presentation by a real practicing witch. She will take you through all the steps of a ritual circle from creating sacred space, to magical working to releasing your spells. Participation is welcomed. What we call infotainment. So come enter the temple. Followed by Q + A time permitting. This attraction must be booked prior to date of tour. Was at the Salem Wax Museum's Haunted Neighborhood this past weekend and had a blast. Haunted houses were great. There was this announcer with the most incredible voice that was so nice to my daughter after she got so scared in Frankenstein Castle. He gave her a gift and was so nice to her. Recommend this place to everyone.